The latest issue of the Cetis newsletter is now available. This summer issue includes updates on the subject coding project with HEDIIP and a number of LRMI implementation case studies. 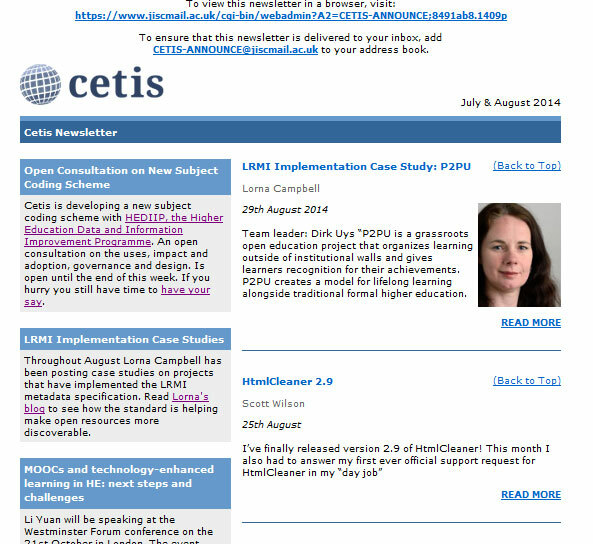 The newsletter is available on the Cetis-announce jiscmail site. The Cetis newsletter comes out every two months if you’d like to subscribe please sign up at the Cetis-news jiscmail list.